It snowed last Tuesday...a lot... for that matter, subsequent snows have fallen to freshen the look. Visibility on the way to Northport that day was a challenge. So much for a scenic shot on the "wiggle road". There are days when just making it to the boat deserves a gold star in my book. Something tells me this will not be a problem today. I always go through this "routine" in my mind as I wait in line in the Winter...did I remember to make a reservation??? Made it...after the challenge of getting to Northport, the ride back across the Door was a piece of cake, at least it felt like that to me. ...continues to be baking up a storm, check the Bakery Facebook page for updates...something bakery oriented is upcoming. I think a pie crust demo might be on for this Thursday! Yes folks! I am here to keep you informed of significant events...whether on or off Island...some things need to be celebrated! I have taken the liberty of borrowing an Apple Pie from the Danish Mill to remind us of this special day coming up Thursday, January 23. Yes, the Danish Mill has reopened (yay!). Which reminds me...another good place for pie has also reopened after their Winter Break...Findlay's Holiday Inn...(can I hear a yay, yay! )...thinking of the cherry pie served with the Fish Fry on Friday nights...yum. Their times are varied, too...I thought a photo would say it best. 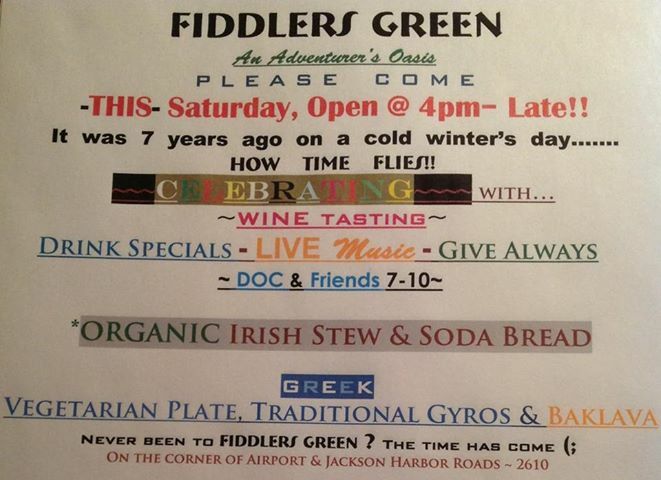 Another celebration this Saturday...it's year 7 for Kate's Fiddlers Green. 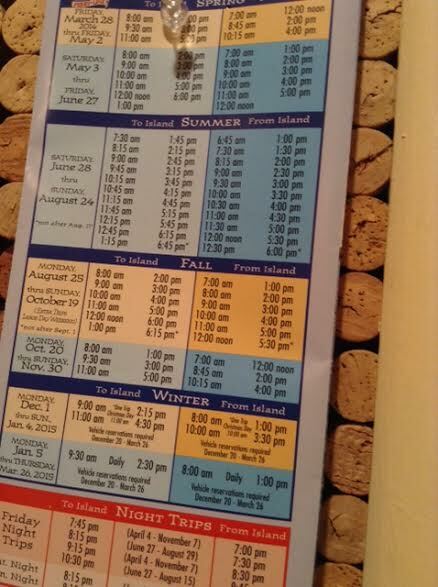 A good bit happening on the Island ... in Winter ... happy the ferry ran ... happy to be back!